Upon arrival at the Ahmedabad Airport, meet our tour representative who’ll assist you in smooth transfer to the hotel. In the afternoon, set off to explore the attractions of Gujarat which include Calico Museum, Akshardham Temple, Gandhi Ashram and Adalaj Stepwell in Gandhinagar. Stay overnight in the hotel. Post breakfast in the morning, take a road journey to Rajkot. En-route, have Darshan at Virpur Temple. Arrive in Rajkot by evening followed by check in at the hotel for overnight stay. In the morning, drive to Somnath. Upon arrival, check in at the hotel. 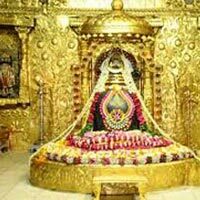 In the evening, pay a visit to the Somnath temple. 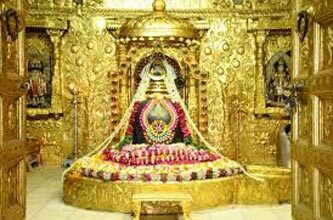 Stay overnight in Somnath. Post breakfast, hit the road to Dwarka. On the way, halt in Porbandar and explore the surrounding attractions. Arrive in Dwarka by evening followed by check into the hotel. Overnight stay in the hotel. Day 5 is fully booked for the sightseeing tour of Dwarka. Overnight stay in the hotel. Today, you’ll will be transferred to the Jamnagar Airport to board flight to Mumbai.